Keeping this scenario in mind, we are presenting six reasons to outsource software testing. One must be an expert to perform any technical activity. There are some software development companies that want to concentrate all their effort on the development of the software. As a result, they do not have any expertise or specialized resources to detect bugs and errors in their software. for this reason, they outsource it. There are a huge number of companies that provide software testing and security services. The software testing services include; automation testing, functional testing, mobile app testing, usability testing, responsive testing, performance testing, compatibility testing and testing center of excellence. Sometimes it is economical to outsource your software testing rather than hiring amateur resources. This is because it incurs almost the same cost or increase in the cost with zero output. It is advised not rely your decision just on the cost factors. 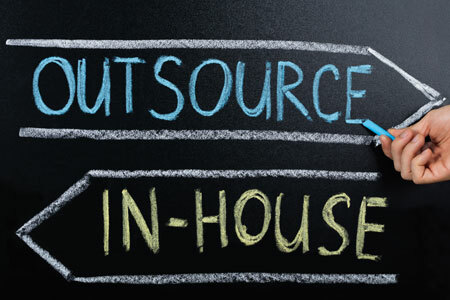 Another reason for outsourcing is that there is no need to build skill sets and resources if they are readily available in the market. Your software testing partner should have a skilled resource with a smart team that is upgraded with the technology that you require and can direct you on the correct methodologies. Make sure that your partner can provide the required quantity of resources wherever and whenever needed because that will determine effectiveness for your project and efficiency in the delivery process. This is another important reason because I would recommend you to work with companies that value ethical conduct and show a responsible attitude. The partner must advise you on the correct strategy and it must also stand with you in times of issues and failures. Therefore, select a company that shares the responsibility for the output and delivers reliably. Credibility and relevance of your future partner are always very important. Get a signal and conduct proper research on the company’s reputation and leadership in the market. in most of the cases, you are suggested to go with well-established players in comparison to a small set-up with zero clues on work ethics. Do proper research on the sort of recognition and awards that the company has gotten in the testing field. Eventually, evaluate the company’s customer database and attain a cue on delivery and performance success. In this complete scenario, it is significant to regularly look at your project’ s and business objectives. The reputation, performance, costs, work ethics and the knowledge of the partner must be weighed according to your requirements. When your complete equation will balance by your objectives, you will be able to bring value and send market ready services and products.